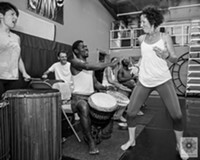 Doumbya Dance and Music ~ Drum Workshop Series! Doumbya Dance and Music present a 6 week immersion into rhythms from Africa and beyond! You can study drum or dance, or both! !